I remember many people were skeptical to the flat look when it was first introduced with iOS 7, now we’ve grown to like it. 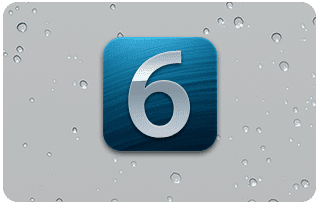 That’s not to say some of us can’t enjoy the old days…A new tool, dubbed Odysseus, allows iPad 2 and iPhone 4s users to downgrade their devices to iOS 6.1.3 without having to have saved your SHSH blobs yourself. More on this after the jump. To take advantage of Odysseus, your iPad 2 or iPhone 4s must be jailbroken. Created by iOS developer @tihmstar with contributions from @winocm, @xerub and @ih8sn0w, Odysseus takes advantage of the fact that Apple still signs iOS 6.1.3 over-the-air (OTA). If your iPad 2 or iPhone 4s has EVER been on iOS 5.0.1 (or iOS 5.1.1), then your SHSH blobs are automatically saved and this tool will likely work for you. Once you’ve downgraded, you can follow our guide to jailbreak iOS 6.1.3 here.